Hosting images yourself is tricky business, especially considering how convenient those hosted services like Google Photos, Facebook or Instagram are. In this episode I talk about various software applications that may help you replicate these services in one way or another. Special guest in this episode is Tobias Reich, developer of Lychee, a photo management software I’m discussing in this episode. In this episode, I talk with Josh Tauberer about a project he started in 2013: Mail in a box. It allows you to set up your very own mail-server in an easy and secure way. Welcome back to the second episode! This time I’m talking about the self-hosted cloud-storage solution Nextcloud, which, with its numerous extensions is the swiss-army knife of self-hosting solutions. who not only had insightful things to say about Nextcloud, but also about self-hosting and its future in general. As a reminder, if you’re still looking for a place to host software, there’s a short guide on the Self-Hosted Web that gives you a little overview. If you enjoyed this episode (or if you didn’t), I’d be happy about feedback. You can either send me an e-mail at richard@selfhostedweb.org, or via the contact-form on selfhostedweb.org itself or, if you do use Twitter, you can write to either @Selfhostedweb or me directly @stormgrass. The music for this episode is by Podington Bear, released under a Creative Commons license at Freemusicarchive.org. I’d be happy if your reviewed, liked or starred this for some visibility. You can do that wherever you get your podcasts from, but specifically on iTunes or on Panoptikum.io. 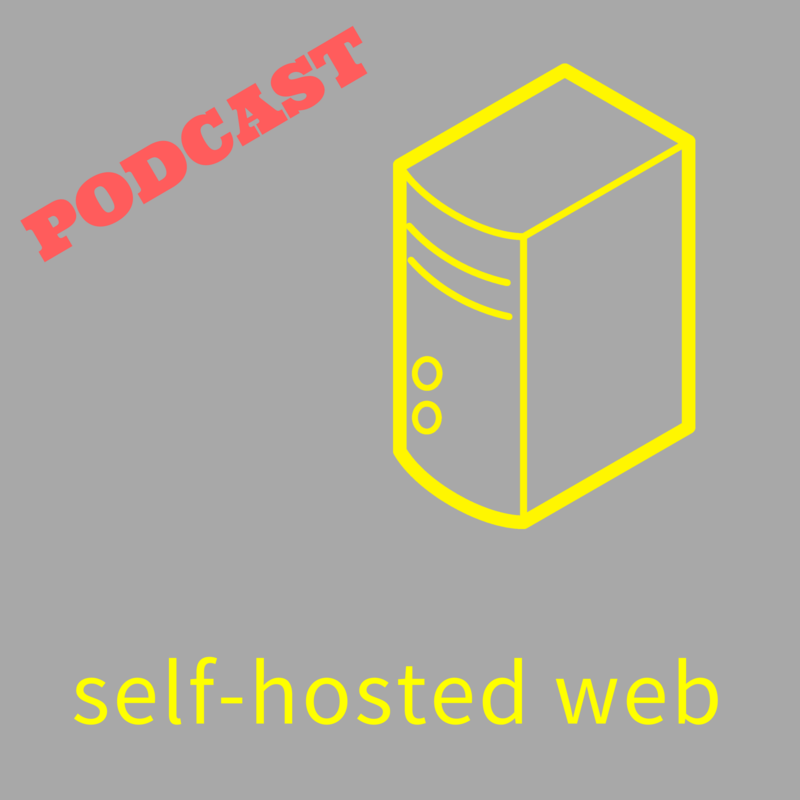 In this inaugural episode I talk about the self-hosting platform Cloudron. I was also lucky enough to speak to Johannes Zellner, one of the co-founders, who took time out of his busy schedule to explain to me a few things about his platform and self-hosting in general.